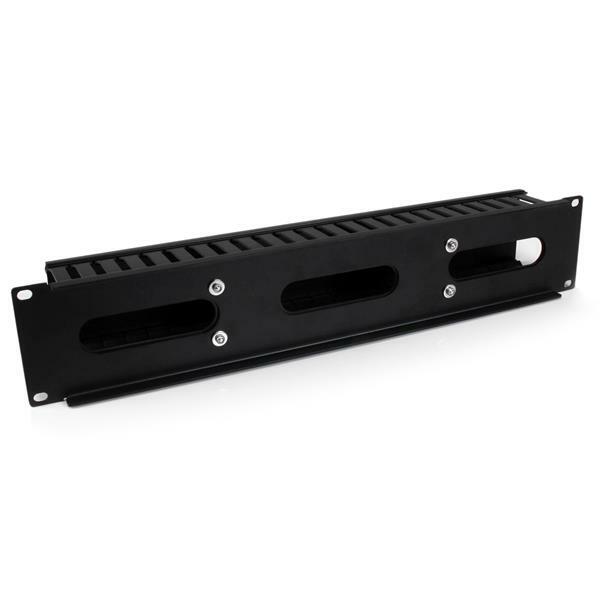 The CMDUCT2U 2U Finger Duct Cable Management Panel mounts to a standard 19" 2 or 4-post rack to help you organize horizontal cabling, through a covered cable duct. This TAA compliant product adheres to the requirements of the US Federal Trade Agreements Act (TAA), allowing government GSA Schedule purchases. 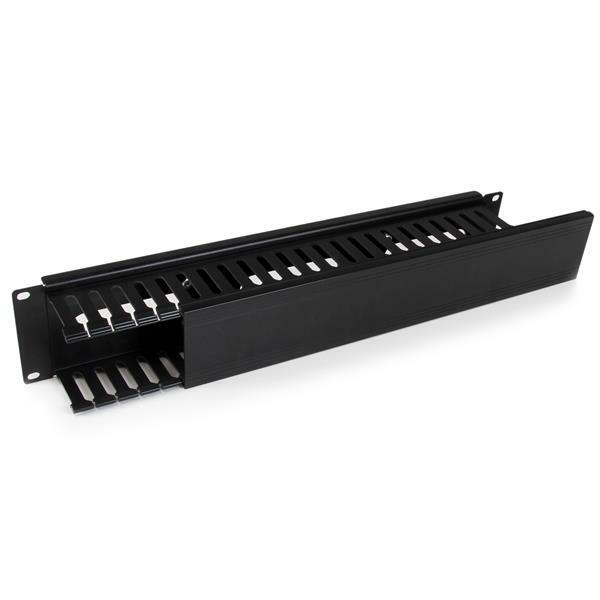 The 2U cable organizer features a removable top cover that makes it easy to add or remove bundled cables quickly. 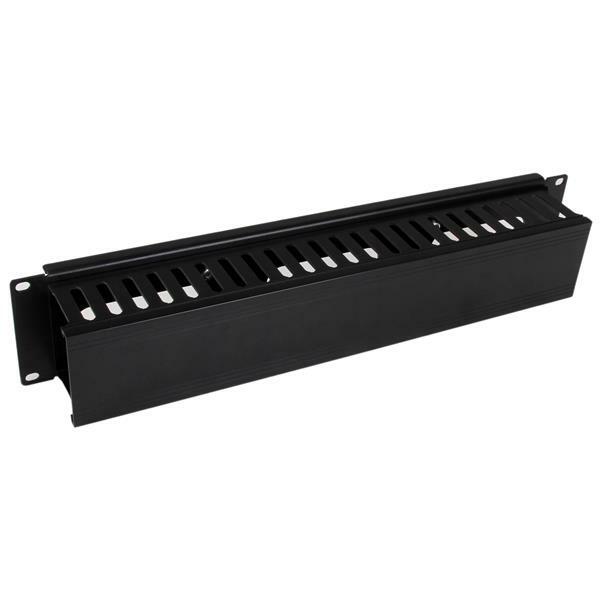 The duct also offers a series of fingers on either side, as well as pass-through holes at the back to help you route your cables where you need them, and reduce cable strain in the process. 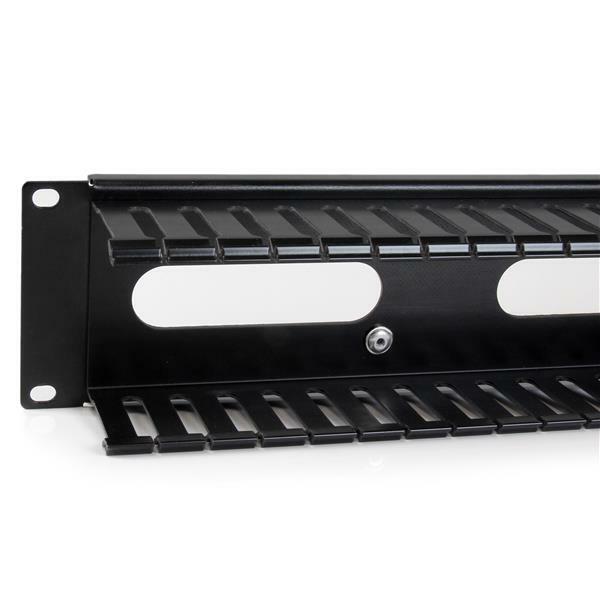 Made of high-quality steel and plastic, the cable manager is a durable solution for your server room or wiring closet. For easy installation, this horizontal cable organizer comes complete with 2 sets of rack screws (M5 and M6).